Can we go in now? What about now? Ok, now? 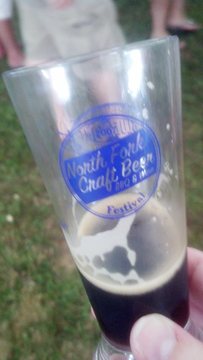 The beer gods were once again smiling on the North Fork Craft Beer BBQ & Wine Festival, on August 10, by providing perfect summer weather. 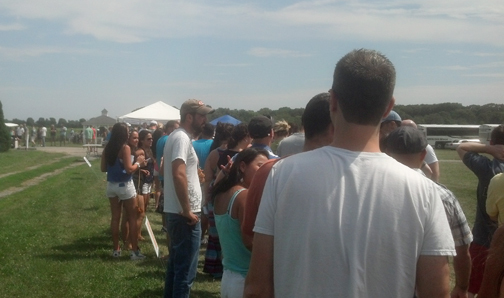 When I arrived at the beautiful Martha Clara Vineyards in Jamesport, New York, around 2:00 PM, there was a long line stretching back into the vineyards. These were the beer-loving attendees, just like me, who couldn’t wait to get their little plastic cups filled with some of the best beer on Long Island. 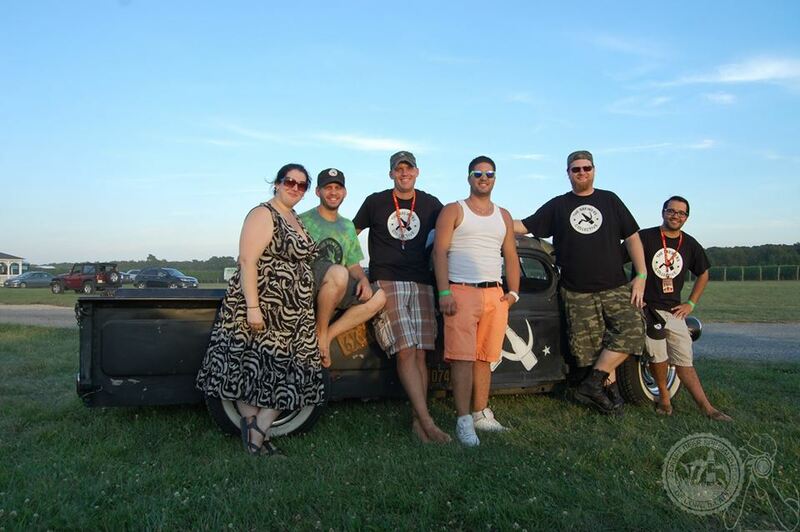 The festival has become one of Long Island’s must-go beer events. 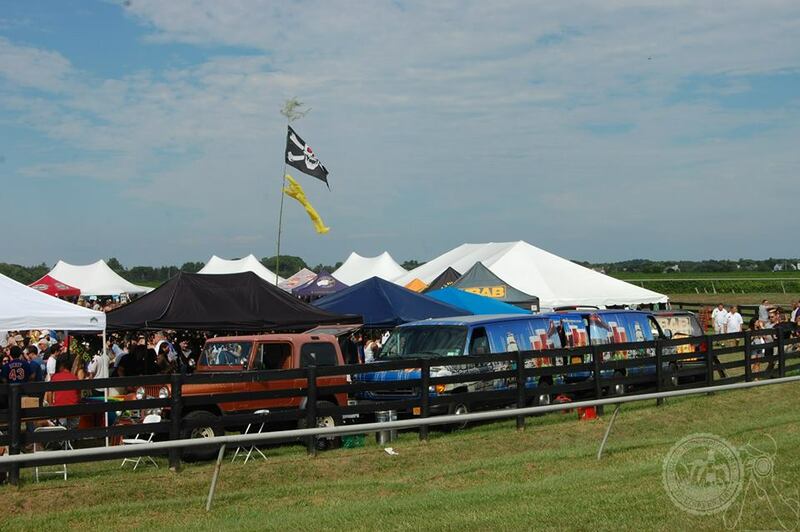 Along with old favorites like Blue Point Brewing and Southampton Publick House, there were an amazing amount of smaller breweries, many who have grown since they appeared at their first festival. Most of these now have their own tent with multiple styles on tap. It makes me proud to see their success. The festival was also host to many new breweries who are just about to open their doors or are just breaking-in their new equipment. Besides all the unique beers, a great part of the festival was that many of the people behind the tap handles were the owners and brewers of the beer that we were tasting. 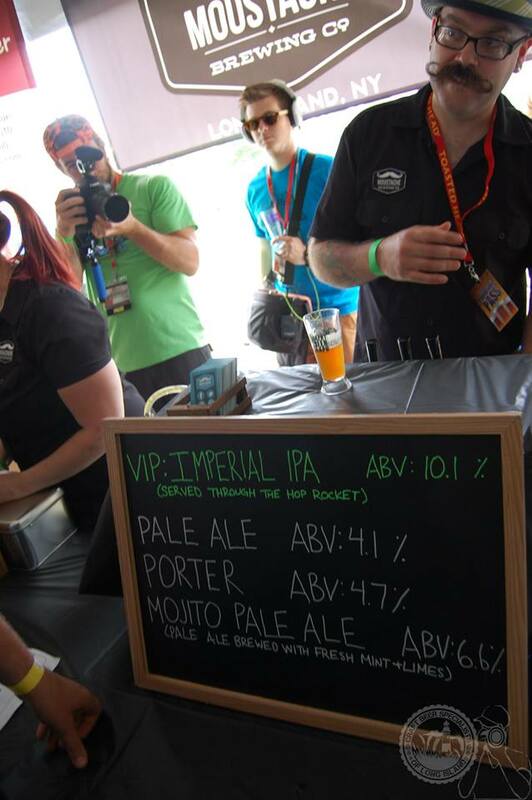 Despite the crowd, the brewers were happy to answer any question about the beers they were serving. It’s a great way to get as close to the source of the beer as you could get. Barrage Brewing: Bury The Hatchet, a 5.4% ABV American brown ale. Of course, I had to try this first. Moustache Brewing: the 4.7% ABV Everyman’s Porter. The aroma of this beer was amazing. Damn tasty too. Yonkers Brewing: Honey Blonde, a 4.5% ABV golden ale made with Hudson Valley honey. Two Roads Brewing Co.: Conntucky Lightnin’, an 8.5% ABV American strong ale, moonshine-inspired, made with corn grits and aged in bourbon barrels. Long Ireland Beer: Plattduetsche Kölsch, a 5% ABV house Kölsch for Plattduetsche Park Restaurant, and ESB, a 6% ABV extra special/strong bitter ale. 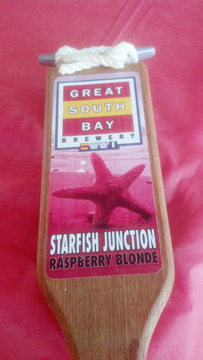 Great South Bay: Field 5, a 7% ABV golden IPA, and Starfish Junction, a 4.9% ABV special-release raspberry blonde ale. The Brewers Collective: Stagweizen, a 7% ABV weizen-style beer made with cherries soaked in Red Stag bourbon. I want to make a special note about The Brewers Collective: I raved about the Stagweizen, previously, when I tasted it at the 2013 Bay Fest. To my surprise, brewer Brad Kohles brought some more for me at this event. I was so honored. And to my joy, another batch will be brewed again. I can’t wait for everyone to try it, and all their other beers, at future events. Sadly, I had to rush off to my next destination. There were so many beers to try and people to talk to. It was can’t-miss event. Keep this on your calendar, and I’ll see you next year! Thank you, Ethan Meyer, for the photographs. Let’s face it, many of mine were awful.